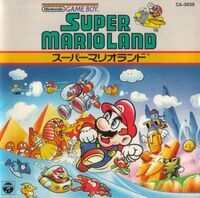 The Super Mario Land Original Soundtrack is an album containing the original soundtrack of Super Mario Land, as composed by Hirokazu Tanaka. It was released on September 1, 1989 and was published by Nippon Columbia. 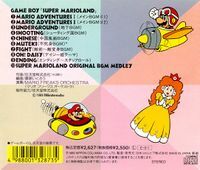 The album contains arrangements of Tanaka's compositions written by Ikuro Fugiwara and performed by the so-called "Mario Freaks Orchestra." Nearly all the game's compositions are arranged across nine tracks, while a tenth is a medley with the original 8-bit versions of the cues. The total running time is 34:54 minutes. This page was last edited on October 2, 2018, at 19:39.